While the stat is impressive — and it is head-shake worthy — the fourth-year guard hit other milestones in the process. - Booker became the fifth player to lose the first two games in which he scored 50 points, joining LeBron James, Bob McAdoo, Hakeem Olajuwon and Michael Redd. - He became the sixth player in NBA history with multiple games of 59 or more points to join Wilt Chamberlain (40), Kobe Bryant (6), Michael Jordan (5), Elgin Baylor (3) and James Harden (3). 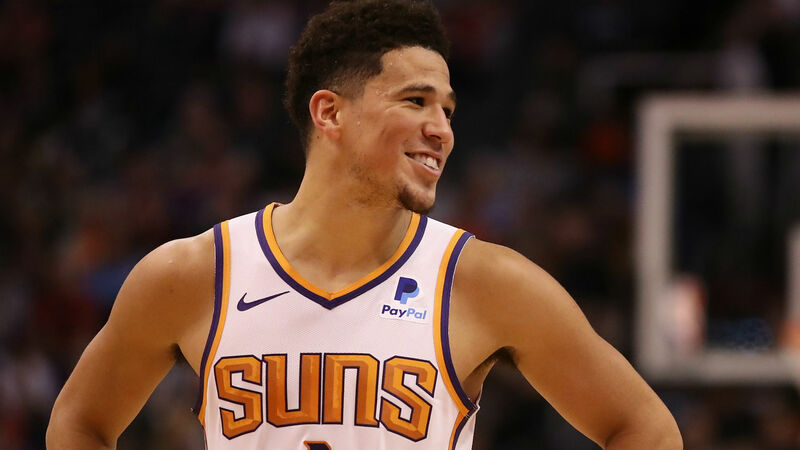 - Booker scored the fifth-most points relative to his team in a game in league history after recording 64 percent of the Suns' points. It was the second-highest percentage in the past 25 seasons behind only Bryant, who scored 66 percent of the Lakers' points in his 81-point game in 2006. - He scored the most points in the 22-year history of the Vivint Smart Home Arena in Salt Lake City. The previous high was 51 held by Karl Malone, Mahmoud Abdul-Rauf and James. Booker is showing no signs of stopping during in the team's final seven games despite the Suns' lottery-bound ending. Phoenix's 17-58 record is the second worst in the league behind New York — the Knicks have compiled just a 14-60 record.